ClearCoin Extension Version 1.0.0 is officially available on the Chrome Web Store and the beta period is now completed. The beta period was a success with over 50,000 ad impressions served through our Platform. We’d like to thank the 75 beta testers who participated and if there any issues with the product please email help@clearcoin.co. If you already have the Extension installed, Chrome will update it automatically for you. The upcoming priorities include allowing impressions to serve when the Extension is not signed into it. As it stands currently, the Extension needs to be signed into for the impression count to be updated. For the people who have asked about ETH gas fees: the way it stands right now is we pay ETH gas fees when sending XCLR to Extension users. Users need to have their own ETH gas fee when sending from their Extension wallet to another wallet address. XCLR is currently sent out on the 15th and 30th of each month with the send out for November 15th completed. If you have an issue with an XCLR send out for the Extension please email help@clearcoin.co. For the people who have asked about advertising to users of the Extension: the best way to do so is through our ad buying Platform. How do I link this to my Clearcoin Platform account??? It just took my KYC from my original wallet and put it onto the extension one…. Thanks for the inquiry. At this time, the Platform account and the Extension account are separate. The balances cannot be linked. The balance in your Platform is what is stored in there while the balance in the Extension is what is stored to that wallet address. The Extension wallet address is decentralized in the sense that it is stored on your local system. The KYC link does exist to help people get through the process faster. 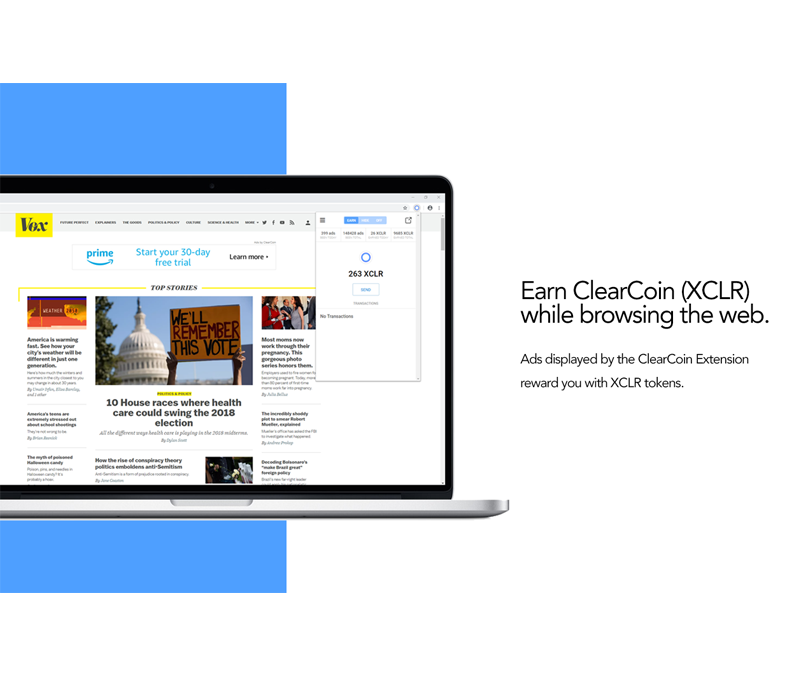 If you have any other questions please email help@clearcoin.co.